There’s still time to take a tour to see the Fall Foliage! Fall is a beautiful time of year in the northeast. Many people love to drive around and take in the striking natural display. 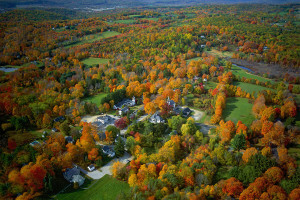 You can get an even better view of the fall foliage this year by booking a helicopter tour. Our helicopters carry up to 3 passengers at a time and our most popular tour is 30 minutes and it carries you over West Point, Bannerman’s Island, Mount Beacon, the Hudson River and the Hudson Valley. Fall is the perfect time to get outdoors and enjoy the beauty of nature. If you have a family tradition of driving around to look at fall foliage, do something even better this year. Book a helicopter tour so that you and your family can have a bird’s eye view of Mother Nature’s spectacular display. Contact us today to make your reservations.